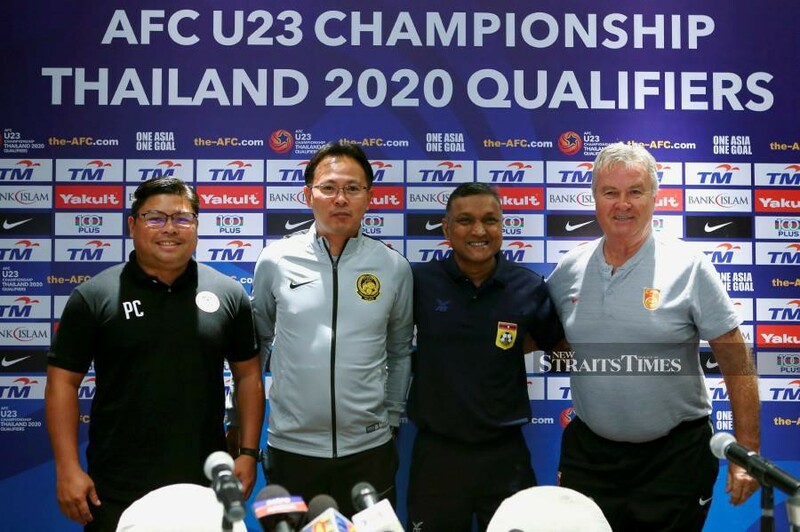 PETALING JAYA: National youth coach Ong Kim Swee is eyeing maximum points from two early encounters against the Philippines and Laos in Group J for the AFC Under-23 (U-23) Championship Qualifiers. Apart from giving local football fans something to cheer about following the national senior squad’s narrow 1-0 loss to neighboring archrivals Singapore in yesterday’s Airmarine Cup clash at the National Stadium in Bukit Jalil, Kim Swee is also hoping to start on a winning note by getting the better of the Philippines tomorrow night at the Shah Alam Stadium. “Harimau Malaya’s loss is indeed disappointing. On the other hand we have carried out the necessary preparations and the players are getting better as the days go by. But we just cannot take the Philippines and Laos lightly as these two sides have shown improvement. “China are the favourites for sure but we need to face the qualifiers one match at a time. There’s no point in us thinking too much about China as we need to focus and taking maximum points in the first two Group J matches,” he said during a pre-match press conference here earlier today (Thursday). During last year’s edition in China, the national U-22 squad made history by reaching the quarter-finals for the very first time before unluckily losing 2-1 to South Korea. The winners of each group will qualify automatically for the final round which will be held in Bangkok, while the top five runners-up from the qualifying group stage will complete the line-up of 16 competing teams. While China are seen as the favourites to finish top in the group, Kim Swee is not too concerned about the need to score as many goals as possible in order to be one of the top five runners-up. “What is most important now is for us to win as many matches as possible. Of course the number of goals scored will also play a pivotal role, but the priority now is for us to collect three points from each match. “We need the fans to turn up at the stadium to support and urge us on because when the fans get behind the players it can really motivate and spur them on,” Kim Swee pointed out.